I’ve been mentally muddling over how to make better solar pasta for awhile. Soaking noodles in solar heated water isn’t giving me the consistency that I want, but I am still afraid to put gluten-free noodles in water for any real period of time due to their general predisposition to turn to mush. Today I experimented with a slow cooker version of pasta. It was one of the few recipes for cooking pasta that I could find that didn’t involve precooking the noodles so I thought I’d give it a try. 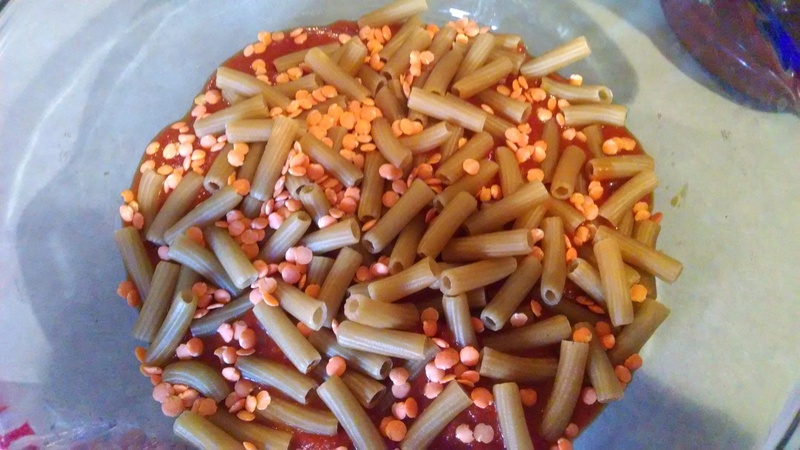 Start by putting a layer of pasta sauce on the bottom of your dish. Then put a layer of noodles sprinkled with lentils. Repeat. End with a layer of pasta sauce on top. Make sure all noodles are completely covered, otherwise they won’t soften or cook. I cooked mine covered in the solar cooker for about 3 hours in the morning. 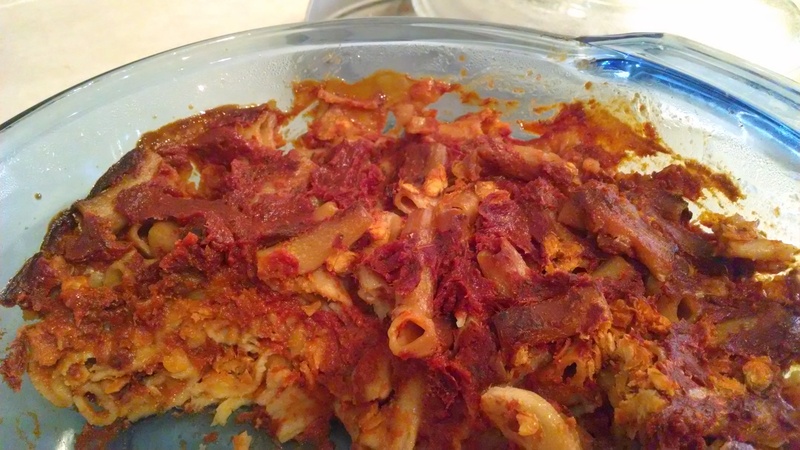 I wasn’t careful enough with the top layer of sauce, so I had some uncooked noodles that needed disposed of. Otherwise, it turned out fine. Rating: a good first step. The kids ate it and there were plenty of leftovers for lunches. It’s a little bland. It would be better with some veggies mixed in next time! I wonder if this system would work for Mac and cheese?